The Capricorn New Moon happens on January 16th at 7:17 pm MST at 26 degrees Capricorn 54 minutes. Here’s the chart: CapricornNewMoon2018. 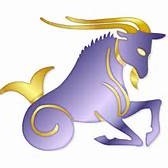 Capricorn’s symbol is the SeaGoat. It reflects mankind’s evolutionary journey, from our origins in the sea, to the tops of mountains where our natural spiritual path of development brings us closest to the Divine Source that created all things. 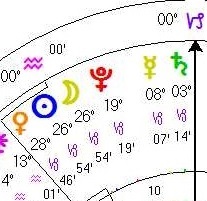 Capricorn energy is greatly emphasized in this New Moon chart pattern! This is because the Sun and Moon are not alone. They’re joined by four other planets also in Capricorn now. Three or more planets in the same sign comprise what’s called a ‘stellium’ or group of planets. This New Moon chart has a SIX PLANET stellium in Capricorn. That’s over half of our Solar system all in Capricorn now! From right to left, this stellium includes Saturn at 3 degrees, Mercury at 8 degrees, Pluto at 19 degrees, both the Sun and Moon at 26 degrees and Venus at 28 degrees Capricorn. Saturn’s presence in Capricorn greatly empowers this stellium because it is the natural planetary ruler of Capricorn. Further energizing this New Moon chart is the fact that ALL the planets in our solar system are currently direct in motion, or moving forward, through the zodiac in the heavens. Typically, this only occurs for a few days or perhaps a week or two each year. This year however, this forward motion phenomenon will persist for over two months. It began on January 2nd when Uranus stationed direct at 24 degrees Aries, and will continue until March 8/9th when Jupiter will station retrograde at 23 degrees Scorpio. Given the natural law of correspondences, or what is more commonly understood through the biblical phrase, “As Above, So Below” this means that there’s the potential for LOTS of forward movement here on planet Earth over the coming weeks. Each New Moon pattern typically ‘seeds’ energies associated with the sign the New Moon occurs in for approximately four weeks, until the next New Moon happens. However, since this Capricorn New Moon is the first to occur since Saturn moved into Capricorn, it’s own sign, where it will remain until December 2020, my sense is the ‘seeds’ planted in this Capricorn New Moon may take a full three years to completely manifest or unfold! Frankly, we may NEED this much Capricorn energy for three years, because Capricorn is the sign of responsibility and accountability. It also rules the structural nature of human consciousness, the source quantum science has definitively proven to be responsible for co-creating our realities, both individually and collectively. Capricorn teaches us to grow up, to fully mature, and to own completely the consequences of ALL of our behaviors, choices, actions and experiences. This ownership becomes increasingly important once we become consciously aware, as a result of our own personal spiritual evolutionary development, that it is our consciousness that is responsible for creating our reality. This is true on both personal and collective levels. Capricorn also reflects the need to hold others accountable, particularly those in positions of power and authority. 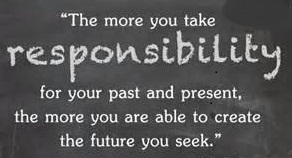 OUR CURRENT REALITIES ARE BEGGING FOR GREATER RESPONSIBILITY AND ACCOUNTABILITY ON THE PART OF LEADERS ALL OVER THE WORLD! Interestingly, the New Moon is currently square Uranus in Aries, THE planet of revolutionary forces and changes. This third quarter, or waning square aspect carries the energy of a ‘crisis in consciousness.’ The purpose of such crises is to bring about a realization of the need to throw off ‘consensus’ or ‘mainstream’ realities and their associated limitations, corruptions and dysfunctions so that evolutionary growth can continue. Most dangerous among these are corrupt individuals and forces that wish to maintain the status quo, and as a result, to also maintain their positions of status and authority. These individuals are typically motivated by a desire to hold onto power at any cost. In maintaining the status quo, necessary ongoing evolutionary growth is often prevented and thwarted. When necessary evolutionary growth or change is resisted for too long however, then Uranus, the planet of revolution, brings the required changes in sudden, forceful and often unexpected ways. In the end, Uranus ensures the necessary r-evolutionary changes manifest. Classic examples of such corruption include totalitarian and authoritarian figures whose behavior and dictates are motivated by the desire for absolute power, greed, and a need to maintain complete control over others and their environments. These individuals often believe “the ends justify the means.” Ultimately however, such behaviors ensure the evolutionary necessity of a “fall from grace” for those who misuse or abuse the power and authority of their position. 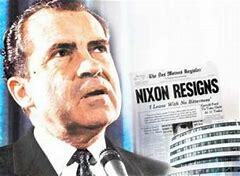 President Richard Nixon’s resignation in 1974 as he faced imminent impeachment reflects the inevitable karmic consequences of such un-evolved Capricorn expression. The evolutionary intention of third quarter squares requires that we move beyond the limits of man-made beliefs and the expectations to conform to consensus reality. Third quarter squares encourage us to reach for higher spiritual values of an unlimited, transcendent nature. They encourage us to reach beyond Capricorn to Pisces. The New Moon’s waning sextile (60 degree angle) to Chiron in Pisces provides just such impetus. Pisces is the sign associated with the natural path of spiritual development as well as the Divine Creative Source of all things. It is through Pisces that we return to and reunite with this Divine Source, the ultimate culmination of mankind’s evolutionary journey. Through Pisces, we remember, embrace and embody the timeless, universal principles of compassion, non-judgment, tolerance, forgiveness and unconditional love for self and others. This New Moon is also sextile Mars in Scorpio, which is itself trine (120 degree angle) Chiron in Pisces and inconjunct (150 degree angle) Uranus in Aries. Mars is also still conjunct Jupiter which is also in Scorpio. Both continue to dig deep to expose the truth and to bring about much needed healing, especially sexual healing. Altogether, these planetary connections portend the ability to release guilt, to let go of judgments of self and others, and to deeply heal old emotional, spiritual and psychological wounds, particularly those associated with losses, abandonments and betrayals. These energetic influences reflect an ability to make the necessary changes and adjustments required to heal and to evolve. To affect such healing, Mars compels us to take action. Right actions and choices will reflect our Soul’s deepest desires. Mars will provide all the energy needed to move forward towards what’s most important and meaningful to us on a personal level. 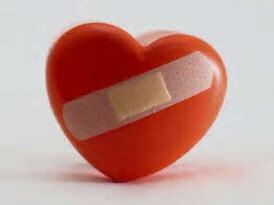 Mars is now asking us to heal our heart by following our heart. Since Capricorn rules responsibility, it stands to reason that it also rules our careers. It’s likely that MANY people will change jobs or careers over the coming few years in pursuit of a life path that’s much more meaningful. These new career paths and life directions will be more closely aligned with their heart’s desires. They’ll allow them to more fully express their true authentic selves and personal values. So if you’re currently in an unfulfilling job or stuck in a career that just isn’t rewarding or satisfying, NOW is the time to begin to make the necessary changes and adjustments required to create your dream job! If you’re uncertain about what that new job will look like specifically, take time each and every day to get quiet, get centered and turn your attention inward. Use the Pisces energy available now to connect with your Higher Self and to seek inner spiritual guidance from your very Soul. Ask what choices and actions will lead you to ‘right work.’ Ask for help in determining what steps you must take to co-create a better life or career path. All this Capricorn energy is initiating a new era of self-responsibility and personal accountability! We will ALL be challenged to develop greater INNER authority. Instead of deferring to outer authorities to make all the decisions, the next few years will demand that each of us stand up and take charge of our own lives to a much greater degree. We’ll also be challenged to develop much greater INNER emotional security. After all, Capricorn is the sign of emotional maturation. Evolution always naturally occurs by and through the opposite sign in the zodiac. Cancer opposes Capricorn and teaches that we are ALL responsible for our own well-being and emotional security. Instead of depending upon outer sources for validation or approval, for protection and security, or even for meaning in our lives, we must learn to further develop and utilize our own resources. We must learn that the only true source of security comes from within. 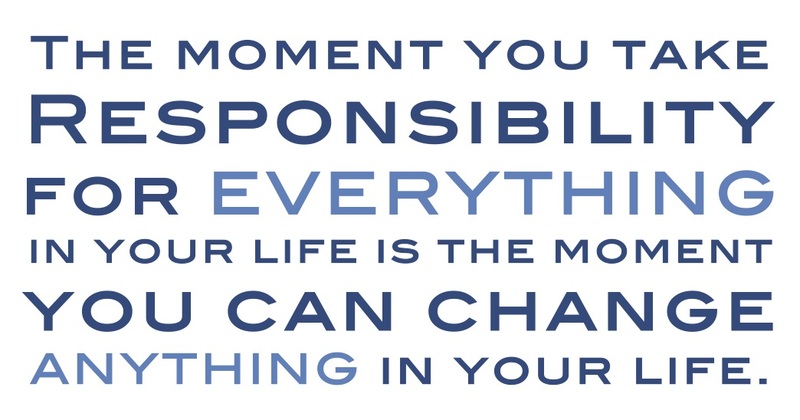 We must grow up, mature, and become self-responsible and self-determined. Accordingly, since Capricorn rules governments and Cancer rules the people in any nation, we can expect more grass roots organizing and greater local efforts over the next three years as more and more communities focus their time, energy and resources on addressing their own needs and resolving their own issues instead of depending upon an increasingly corrupt and dysfunctional federal government. Arguably, Washington D.C. seems intent only on competing for, wielding, and maintaining power, not solving our nation’s problems or the greater global issues we face. 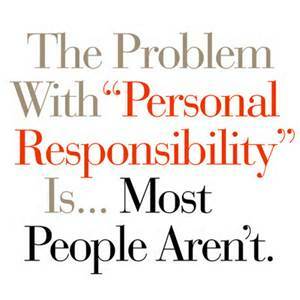 Hopefully, a BIG part of this growing sense of personal and collective responsibility will be reflected in more and more Americans becoming better, more responsible citizens. A s we move closer and closer to the time of our first ever Pluto return in 2021-2022 (a 248 year cycle/event), we currently have a President who many believe is authoritarian in nature and universally motivated by corrupt self-interest. Some even compare Donald Trump to Britain’s King George, the tyrannical leader our founding fathers ‘threw off’ in 1776, when the colonies joined together and declared our independence. 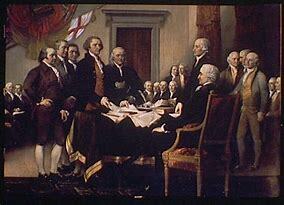 Indeed the same circumstances that compelled our nation’s founding are being re-created and re-experienced now! Since Pluto represents the natural life/death/rebirth cycle, and the Soul’s evolutionary intentions, when Pluto ‘returns’ to it’s natal position in the chart of a nation, it symbolizes a time naturally associated with a cyclic opportunity to either end, or re-birth, the founding principles and core intentions or purpose of that nation. May we now resolve to recommit ourselves to this nation’s founding principles of life, liberty and the pursuit of happiness, and to America’s core values of freedom and justice for ALL. May we all utilize the abundance of Capricorn energy available now and for the next three years to become more responsible for ourselves and for the realities we are co-creating individually and collectively. And may we learn to develop a greater sense of inner authority that holds ourselves and others to account, especially those in positions of leadership and authority in our society. And perhaps most importantly, may we also remember that “Of, by and for the people” means that those in government, including ALL elected officials, work for the people. 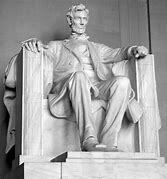 THE PEOPLE represent the ultimately authority in the United States of America! Finally, Capricorn also represents the past. And yet, the enormous gathering of energies associated with this sign (SIX PLANETS IN CAPRICORN!) are ALL square Uranus, the planet of rebellion, revolution, innovation and change. Uranus rules progress and the future. It’s time to throw off the past and embrace the future. It’s time to take full responsibility for co-creating a better future, a more peaceful future for ourselves and for us all! The next New Moon, the Aquarius New Moon, is a Solar Eclipse on February 15th!